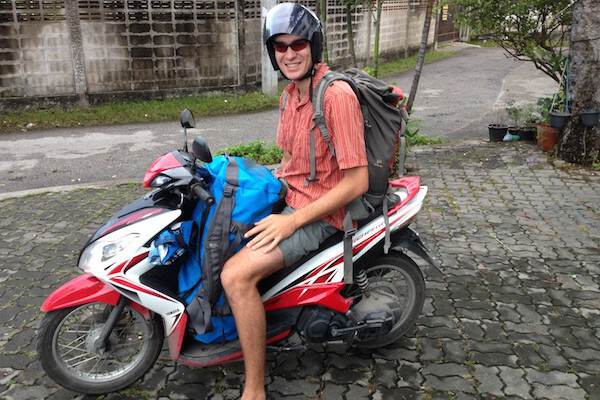 At the time of writing this post, I have been teaching English in Chiang Mai, Thailand for 10 months and the time has flown by. 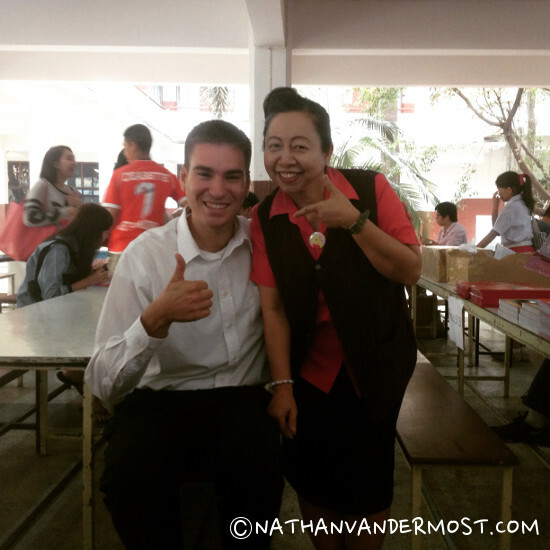 In January of 2014 I made the decision that I wanted to have the experience of teaching English in Thailand along with living abroad. After deciding to buy a one-way ticket to Bangkok. 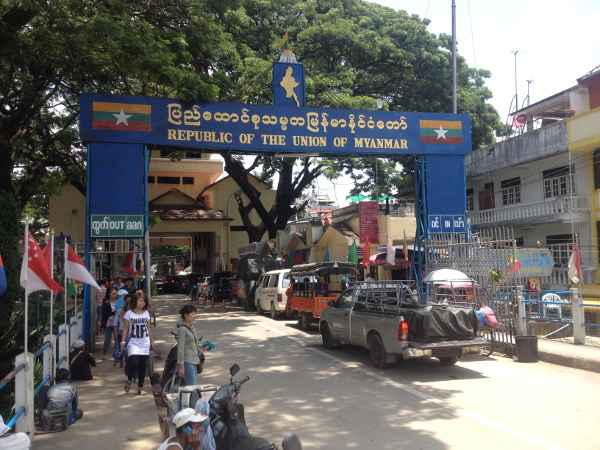 On March 4th 2014, I had arrived to Thailand. 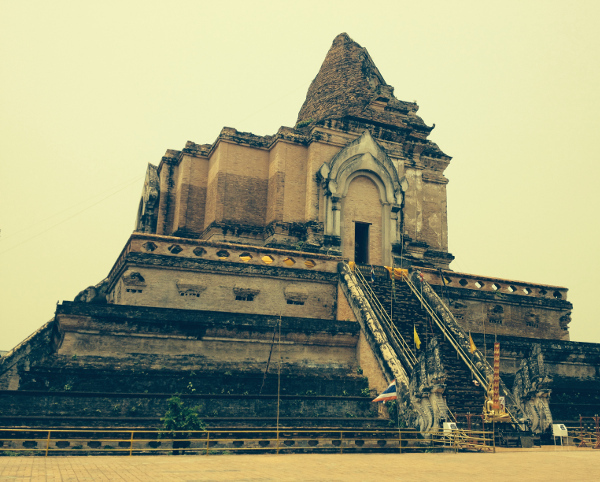 My first few days in Bangkok were overwhelming and I had extreme culture shock. Life is not easy traveling in a foreign country where English is not the primary language or, at times, not spoken at all. I remember trying to get oriented in the big city of 8 million and trying to figure out the skytrain rail system (BTS). Which elevator do I go up? Which do I take to go down? Why is this ticket machine not working? I looked at locals in work attire with a confused look on my face and a duffle bag on my back and a backpack in my hand. “Where am I” I say, as I point to a map on my phone. I felt out of my element but at the same time, I felt so alive! My first few days in Thailand were overwhelming but I learned fast, especially with the help of the hostel owners at the Zhongdee Hostel and walking around with a friend from the states. 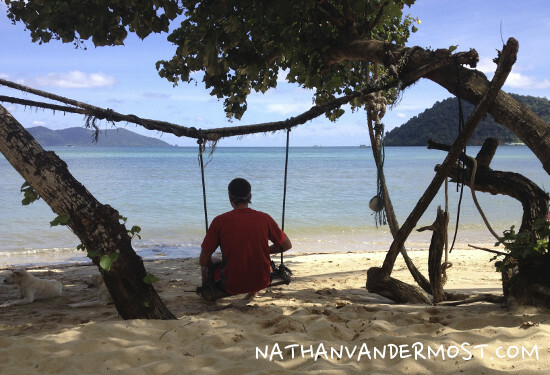 After getting oriented and getting familiar with the geography of Thailand, I decided I wanted to go south… to the beach! After a bit of beach life, traveling around for 1.5 months and declining two job offers I arrived to Chiang Mai, Thailand for the annual Songkran water festival. 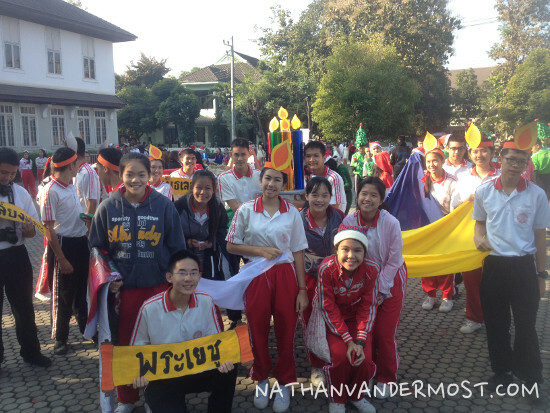 It was a great event and I thoroughly enjoyed Chiang Mai. I wanted to see if there were any job opportunities and after two weeks of hustling, sending resumes and getting lucky! I got an offer at Dara Academy, a private Christian school of 7000 students. 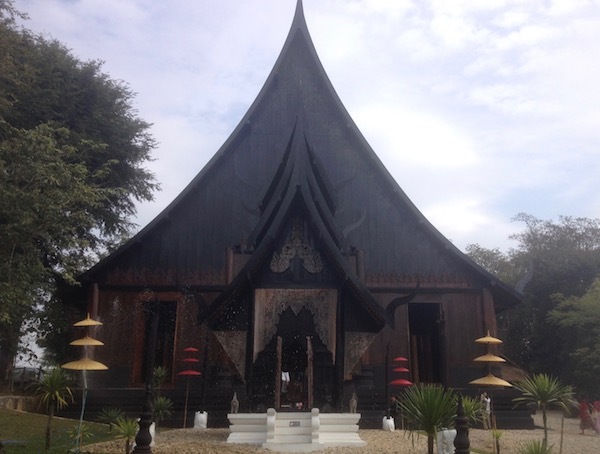 Check out this awesome list of Chiang Mai schools compiled by a fellow teacher, Chiang Mai Blogger extraordinaire. I, along with 31 other foreign English teachers work at the school and teach students aged 4 to 18. I personally teach students in grades mathom 4-6 which is equivalent to sophomore to seniors in high school. The school does a good job in the first week with teacher orientation and gives teachers resources that are helpful to make teaching effective and fun. I have never taught before and walking into a classroom of 50 students can be quite intimidating. Different schools are structured differently but at Dara Academy, I have a Thai co-teacher for all my classes. The Thai teacher is fluent in Thai and English. This makes teaching English and classroom management a lot easier. I work Monday through Friday from 7:50am to 3:30pm. I teach between two and five 50 minute classes per day for a total of 20 contact hours per week. The weekly rhythm becomes very familiar after three months of teaching. You get to know your students better and develop your working relationship with your Thai co-teacher. As teachers, we do not have our own classroom and students stay in the same classroom throughout the day. Following, I may ask the class or an individual student how they are doing and try to engage the class as best as I can. The class follows a text book and the subjects in each chapter range from, Famous People to American Foods. Each lesson comprises of learning new vocabulary words and learning new English grammar. Keeping a class of 50 engaged is very challenging, if not impossible. The English competency of each student varies greatly. Some students sit at their desk with their head down while others are taking notes diligently. I try to mix it up and stay animated in front of the class. 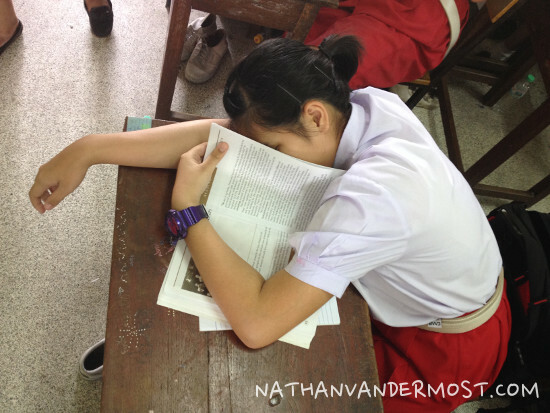 Students seem to enjoy that level of engagement while others could care less. In all, it has been a great experience and I have been very thankful to have had this opportunity. Working with students can be really draining and rewarding at the same time. There is nothing like having 50 kids laugh and cheer when you walk into a classroom. The students have taught me just as much as I have taught them. Thanks Ric! It is never too late to do it! Sounds like an awesome experience! What is your next adventure? Great question Tim! Thanks for the comment! Still working on it… New changes are in the near future. Stay tuned! I hope you are doing great!